The recent introduction of an added training centre based out of Calgary has provided athletes with another avenue to pursue elite training opportunities while continuing their post-secondary education at the University of Calgary. The Alpine Insurance Alberta World Cup Academy (the Academy) is thrilled to have the continued support of Don Thomas and Barb Fedun through The Thomas/Fedun Foundation Education Bursary. Don and Barb are longstanding advocates for education and cross-country skiing. Both have translated their love of skiing and academics into a bursary, which will continue to support the educational goals of the Academy athletes. This year’s committee had a very difficult time to choose only two recipients from the excellent applications received. On behalf of the selection committee, we are delighted to name Laurence Dumais and Nicholas Randall as recipients of a $1000 bursary each. 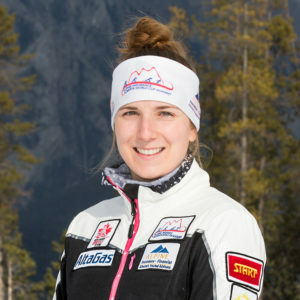 Laurence has been training with the Academy in Canmore since 2016 while working 20 hours a week and continuing her studies at Université de Laval. She has recently started her Bachelor of Business degree, specializing in Accounting. Laurence continues to dream big and push her limits to achieve the world stage in cross-country skiing. “By awarding me, they have lightened my financial burden which allows me to focus more on the important aspects of school and training full time. My lifelong dream to go to the olympics is moving forward, thanks to generous people like you.”, commented Laurence on this recent announcement. Nicholas joined the Academy in August from Thunder Bay. He is enrolled at University of Calgary, where he will complete seven courses in his first year of a Science degree (majoring in Chemistry). 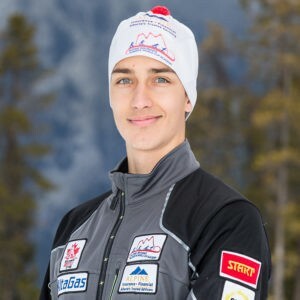 Not only is Nicholas focused on performing at a high level in his sport, but he is interested in space exploration and would love to be involved with the Canadian Space Agency or the NASA at some point in his career! “I am thrilled to be the recipient of this bursary which encourages athletes to succeed in both sport and school, and am overwhelmed by the generosity of Don Thomas and Barb Fedun! It was important for me to pursue skiing at a higher level while maintaining my academic goals. This bursary makes this possible.”, said Nicholas after hearing the news. The Alpine Insurance Alberta World Cup Academy welcomes conversation with supporters who would like to walk in the footsteps of Barb and Don and help athletes pursue their dreams in the sport while continuing their education.